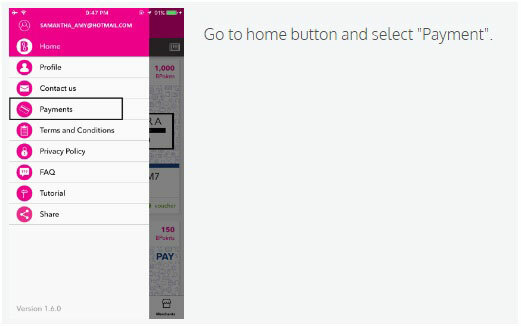 Signing up for Masterpass is quick and convenient with BInfinite mobile app. *Pair means to add your MasterPass wallet into your B Infinite Mobile App as a convenient way to pay for your online shopping. How do I use Masterpassin B Infinite MobileApp? Once you have paired a MasterPass account in your B Infinite Mobile App, you will be able to proceed with online shopping for a faster checkout through your debit / prepaid/ credit card registered with Masterpass. How can I view my Masterpass transactions? I did not receive the OTP (one time password), what do I do next? You need to call your debit / prepaid / credit card Issuing Bank to request for OTP. I received pop-up message "Something went wrong" after I input the OTP, what do I do next? For debit / prepaid card users, kindly ensure the balance in your bank account is sufficient to meet the bank's minimum balance requirement after purchase is made. Otherwise, you may call 1800-884-235 Masterpass helpdesk to assist you. 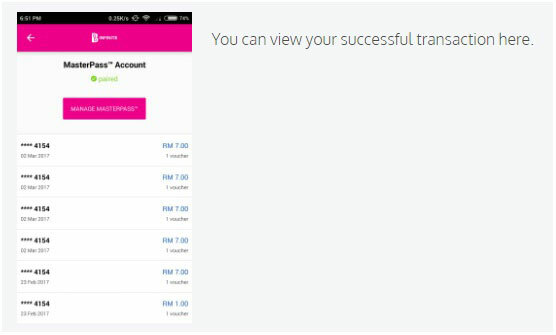 I received pop-up message "Sorry, Credit / Debit / Prepaid card is not 3D secure enabled. Kindly call respective bank to activate". What should I do next? Please make sure that your credit/debit card are authorized by your credit/ debit / prepaid card issuer for online / internet transactions. I have entered the OTP and it stated 'Voucher(s) claimed' but I don't see the redeemed vouchers in the 'Vouchers' section, what should I do next? 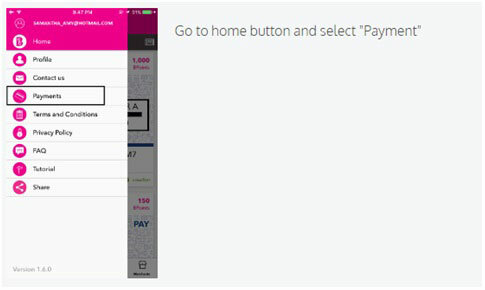 Alternatively you can try to log out from your B infinite Mobile App and login again to refresh and view your voucher. If still not available you may leave us a message at Contact Us OR email us at enquiry@binfinite.com.my for further assistance. How do I seek help if I have difficulties in pairing Masterpass account? You may call 1800-884-235 Masterpass helpdesk to assist you. Otherwise, go to Support for more information. Will I be charged for using Masterpass? No, you will not be charged by B Infinite for using Masterpass service. You will only be charged on actual purchase amount. 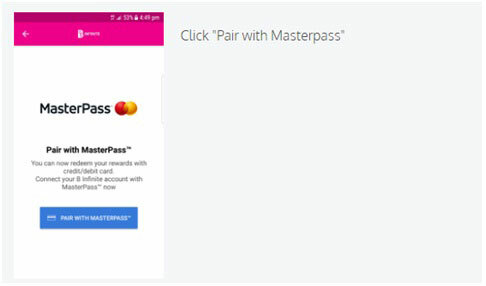 Can I pay for B Infinite eVoucher using Masterpass? Yes, you can for B Infinite promotions that areavailable in B Infinite Mobile App. Can I use any other credit card apart from Mastercard with Masterpass? Yes, you can pair other than Mastercard's credit card with Masterpass. How do I add second credit / debit card to Masterpass? How do I remove my credit / debit / prepaid card from Masterpass account? How do I un-pair my Masterpass account from B Infinite Mobile App? Is my credit card / debit / prepaid card information being stored by B Infinite if I signed up with Masterpass through B Infinite Mobile App? No, B Infinite does not store any of your card information. Rest assured that your card information is safe and secure with Masterpass, and it is also not being stored in your device. Your card information is still safe and secure with Masterpass, and is not being stored in your device. For security purposes, you are advised to change your password.